North Carolina’s Carowinds amusement park has the best rides on the Eastern seaboard! 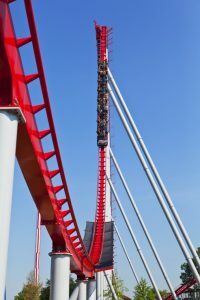 Check out what makes Carowinds one of the most thrilling parks in the country with discount Carowinds tickets through aRes Travel. If you’re looking for an adrenaline rush, nothing beats Carowinds’ world-renowned coasters. Some are so amazing, they hold world records! Check out the Fury 325, known as the world’s best steel roller coaster, with a top speed of 95 miles per hour and heights reaching a dizzying 325 feet! Then there’s Afterburn, a gravity-defying coaster with six crazy inversions that will make you feel like you’re flying a fighter jet. The Intimidator is the fastest, longest, and tallest hyper coaster on the east coast, taking you on a screaming, three-minute thrill ride. Don’t forget Vortex, a stand-up coaster that blasts through a vertical loop, a carousel maneuver, and a flat spin. 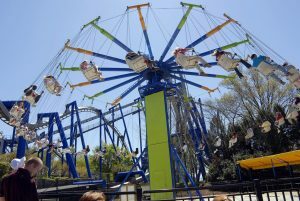 Whether you’re seeking thrills or you prefer a gentler amusement park experience, Carowinds has plenty of rides to choose from. Check out the vintage rides like the Do-Si-Do, Dodg’ems bumper cars, the Yo-Yo, and the Scrambler. There’s also a beautiful carousel for unforgettable photo opportunities and the Rock ‘N’ Roller for a dose of nostalgia. Be sure to hop on the Rip Roarin’ Rapids on those hot summer days when you need to cool off fast! Smaller kids will flip for Camp Snoopy’s many child-friendly attractions. There’s Charlie Brown’s Wind-up, where your littler group members can ride a child-sized yo-yo. Snoopy’s Junction is a train ride that chugs its way through the camp. Don’t miss Wilderness Run, a coaster for Carowinds’ young visitors. For some of the lowest prices on discount Carowinds tickets, amazing savings on hotels, and exclusive deals on travel, call 1 (800) 434-7894 (international callers use +1 (619) 546-5622) to speak with an aRes Travel planning expert seven days a week, or book online now.